If you're trying to improve your overall health in the New Year, it can feel downright daunting to battle getting to the gym or studio, only to have to fight for space. Once you add in the struggle of finding even the time to go take a class or get in a session, you can feel downright deflated. Thankfully, there are options to get fit at home that are just as effective as the gym — and you never have to leave the comfort of your home to get in a proper workout. For a limited time, you can enjoy Cyber Monday savings on these deals with coupon code CMSAVE20 for an additional 20% off the sale price. You don't need to go to the gym — just bring the gym to you with this lightweight, portable at-home gym. It includes all the equipment you need to replicate a traditional gym experience — just without all the bulk. You can do 300+ exercises with the cloth-covered resistance bands, and even take live and recorded classes online with trainers. Buy it here: Usually, this BodyBoss 2.0 Portable Home Gym is $179, but you can get it now for $149.99. Make the most out of your workouts with this vibrating fitness machine: it uses gentle vibrations when you perform your exercises that work to tone your body in the most efficient way possible. This machine helps you burn fat, lose weight and restore you neuromuscular balance — it can raise your resting metabolic rate and even improve your core strength by up to 50%. Buy it here: Usually, this Whole Body Vibration Fitness Machine is $229, but you can get it now for $200. If you've always wanted to get fit, but haven't found a program you could stick to, try this personal training membership on for size. 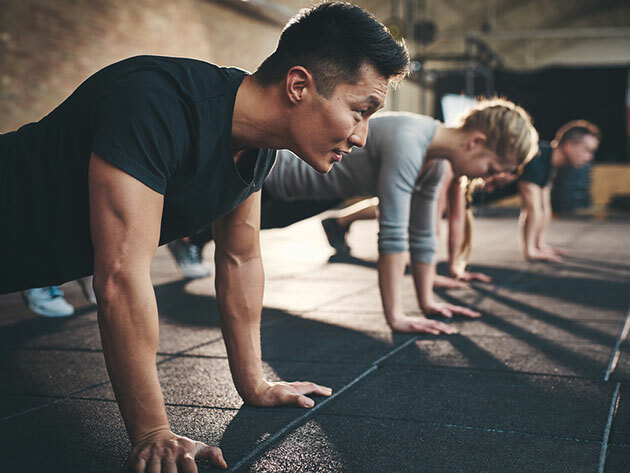 This Fitterclub Personal Training: 1-Yr Membership includes more than one million tailored fitness programs that are designed to help you — whether you want to shed a few pounds, tone your body, transform it or whatever else you want. The curated videos and nutrition plans basically act like your own personal trainer — for a fraction of the cost. Buy it here: Usually, this Fitterclub Personal Training: 1-Yr Membership is $690, but you can get it here for $19.